How to price your products intelligently for a profitable craft business. 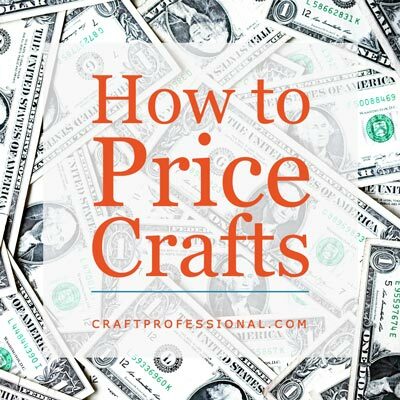 Learn popular theories on product pricing, and calculate retail and wholesale prices for your handmade items with a free, downloadable craft pricing calculator. Determining how to price your products is one of the toughest issues craft business owners seem to grapple with. 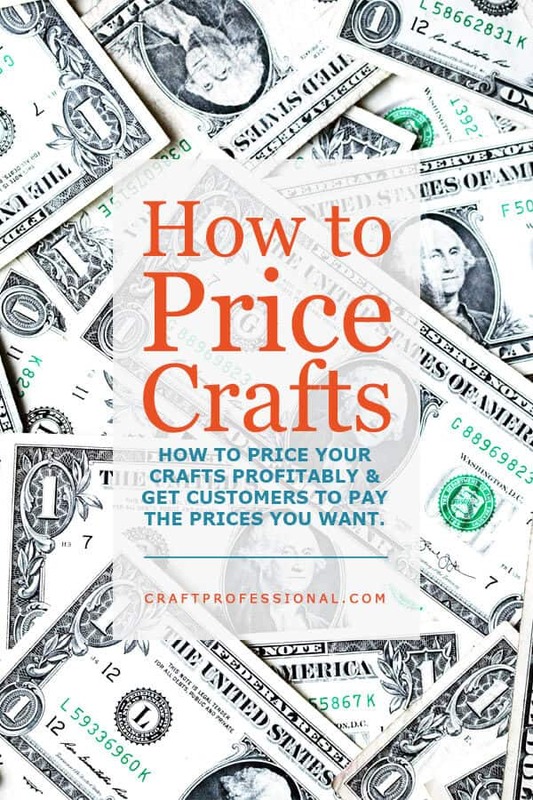 In fact, my craft pricing formula is one of the most popular pages on my site, and it's the one the seems to draw the most comments from people who seem quite stressed about the topic. 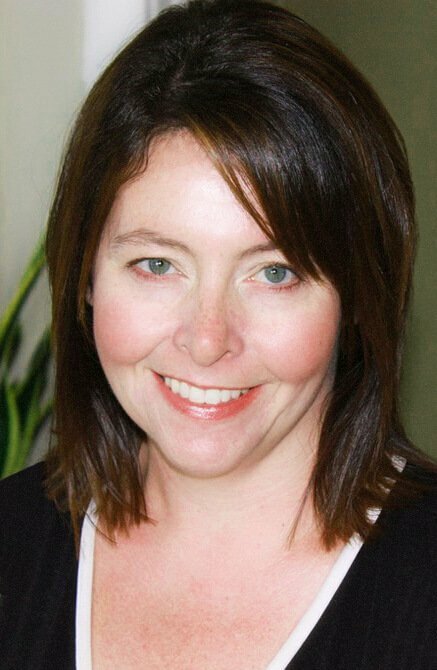 Unfortunately, pricing crafts isn't an easy or completely straightforward task. I wish I could give you a magic answer that would work in all situations, but there are a lot of individual factors to take into account. A pricing formula will get you started with a baseline idea of what your wholesale and retail sales prices need to be to build a profitable business. However, there are plenty of other factors to consider before deciding on a price, which we'll look at in the articles below. Ultimately, the conundrum most craft artists are struggling with when they are worried about how to price their handmade items is how can they command prices that are high enough to ensure their business is profitable and has room to grow. With that in mind, I have written a series of articles, based on my experience and research to help you think through the pricing process. 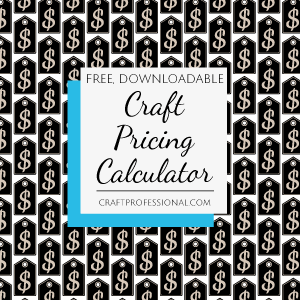 Craft Pricing Formula and Free, Downloadable Calculator: We'll start off with the formula for calculating wholesale and retail prices, as well as the craft pricing calculator since this page is the most popular of all of my pricing articles. Keep in mind, a pricing formula is a starting point. Running the numbers is a worthwhile exercise because it will give you a good understanding of what it really takes to make your product profitable. However, it doesn't give you all of the information you need, so don't stop here as you research how to price your products. 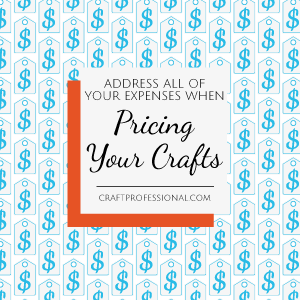 How to Price Crafts: This is my absolute favorite resource on pricing crafts. 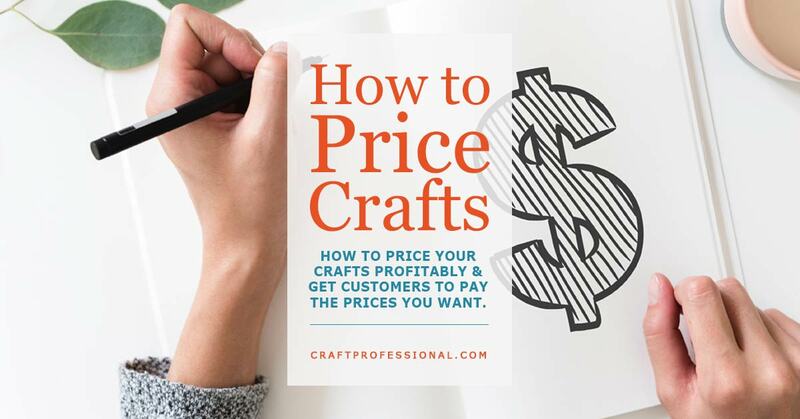 It not only shows you how to figure out what you should be charging, it also shows you how to command the higher prices required to make a craft business profitable. 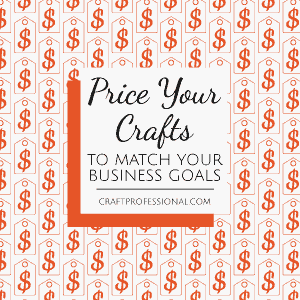 Price Your Crafts to Match Your Goals: Have you ever thought about how your business goals are reflected in your craft pricing? The pricing decisions you make will have a big impact on the type of business you grow. 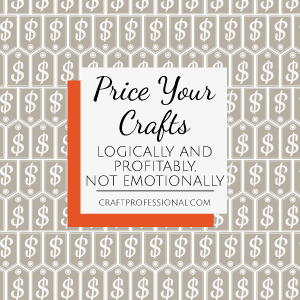 Price Your Crafts Logically, Not Emotionally: It can be surprisingly tough to take the emotion out of pricing handmade items. You've made the product yourself. It's an expression of your skill and creativity. It's tough to take yourself out of the product, which means it can be tough to take the emotion out of setting your prices. Address ALL Of Your Expenses: Do your product prices reflect all of the costs involved in creating and selling them and running your business? If your prices don't cover all of your costs, you'll struggle to build a business that's profitable and has room to grow.